Without strategy, don’t expect your content—even high-quality content—to reach the right destination. You need to create a roadmap, and be ready to change direction based on results. Are you trying to build awareness? Attract new customers? Demonstrate your expertise? Increase customer loyalty? You may need to narrow your focus. What motivates them? What information are they looking for? What content are they responding to? Where do they hang out on social media? What influencers do they follow? Will you need outside help? What about images, video? What tone will you use– funny, sarcastic, folksy, serious? Which social channels? How often will you post? Learn about content marketing metrics, and how to use Google Analytics. 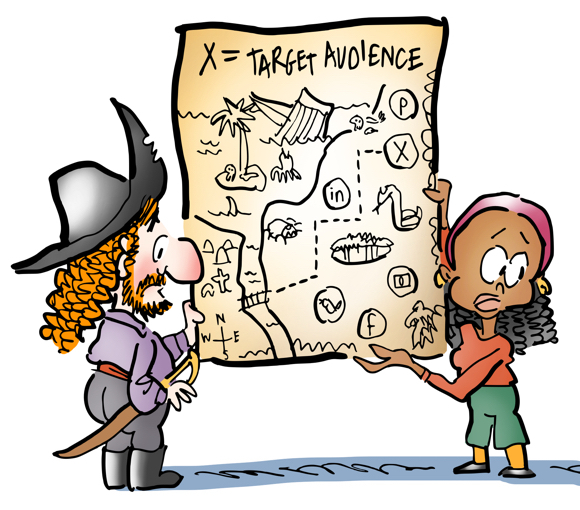 Know what you need to measure in order to determine if your plan is working. Are people engaging with your content? Are they leaving comments, sharing your posts, responding to your call to action (e.g., subscribing)? If not, adjust your plan. 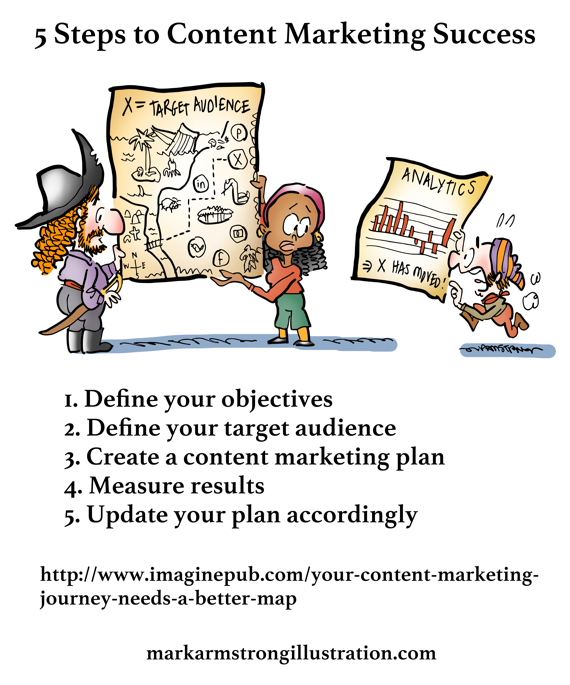 Having a content marketing plan and measuring the results will let you know what’s working, and what needs to change. It’ll keep your creative energies on target so you create content your audience wants to read and share. Here’s a closer look at the map. ← OK, You Made A Marketing Video– But Is It One You’d Want To Share?? Hi Mark… more good info. There is so much to learn and know to make things happen. It seems overwhelming sometimes. Guess you just have to take them on, one at a time. Thanks for another good post.